Another OBB has now come and gone. 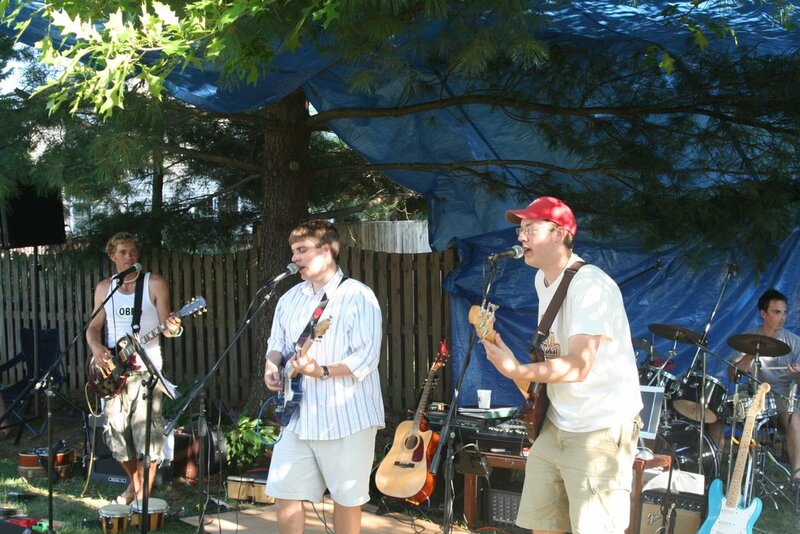 This was the fourth annual Owens Backyard Bash (OBB). 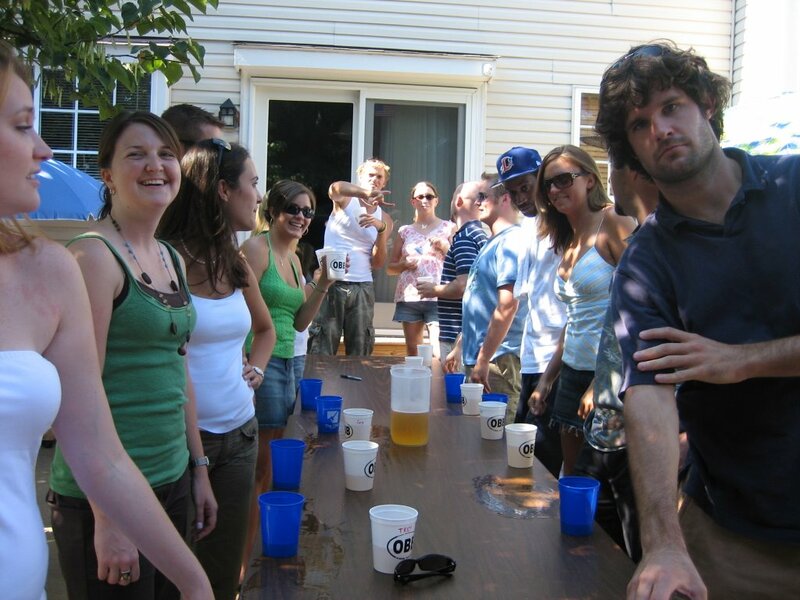 For those of you that don't know, we started this tradition as a “wouldn’t it be fun to have a party with all our friends” before the kids return to college. 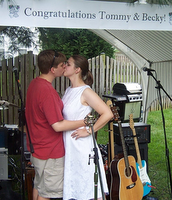 That first year it actually became Tommy & Becky’s wedding celebration. That was just two weeks before the first OBB and let me tell you that that was a pretty BUSY two weeks! Tommy finally had to write on the e-vite that “NO Becky is not pregnant!” because they got asked so many times if that was the reason for the quick wedding. The real reason was that they were buying a new house and had been engaged for almost a year and were just READY! All the numerous details involved with weddings were quickly whittled down to bare necessities and the wedding and OBB wedding celebration turned out great! 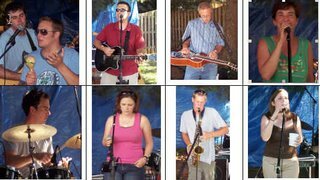 We have continued the OBB tradition because everyone seems to really have a good time getting together, drinking, and enjoying the music. Now out of those reasons, my favorite is always the music (since most of the music is my boys! )and getting to see everyone. Being the “I know someone who died like that “ kind of person, I always worry about the drinking part. Fortunately, most of the guests try to abide by the drinking rules: No drinking and driving. A lot of the guests do sleepover and that really is one of the fun parts of the OBB. People always ask if we are going to do the OBB next year, and the answer to that is always conditional on the outcome of each party. If there is a “drinking problem”, that would be one way to cancel future OBB’s in my mind. I guess that means that future OBB’s are dependent on the current guests. I was a little nervous this year because of our short visit last year from the city police. They had a complaint about “loud noise and band.” The funny part about that visit was that they had a little trouble finding a parking spot out front due to all the parked cars. By the time they found a parking spot and located the “responsible party” (that would be my husband and I), the band had already broken down. They were very nice and didn’t stay but about 5 minutes. Some of the party guests didn’t even know they were present. They left stating that if they got another complaint, we would have to move indoors but both officers indicated that they did not see any problems. We didn’t have any visits from the “city’s finest” this year, so I would mark OBBIV as a success. I understand that the tentative OBBV is already scheduled for Aug. 4, 2007. Check out Jerry’s blog with the official OBBV countdown. Jerry’s parents were saying that he rated the OBB right up there with Christmas and Thanksgiving and that he definitely would not want to miss it. This year the OBBIV started out pretty quiet. We have discussed moving the start time later since the 11:59 AM time makes for a long day. The majority of partygoers usually come around 4:00-5:00. I really enjoyed the quiet start this year and the early start allows the band members get a chance to eat before they perform. The time detail will be discussed prior to OBBV evites going out. This year I thought the music was very eclectic and, for the most part, pretty good. The OBB is always a time for many performers to join the OBros and this year was no exception. We didn’t get a performance with Uncle Gary this year on the drums and I’m not sure how that happened. Uncle Gary was the first drummer to ever play with the boys, many years ago. I personally always love the Fri night before the OBB, because that is “Practice night”. It is always a blast to see all the Owens family, (Dad & uncle included) playing music together in the basement. I said a couple of times during the OBBIV, “OH, I have to listen to this song…this is one of my favorites”. 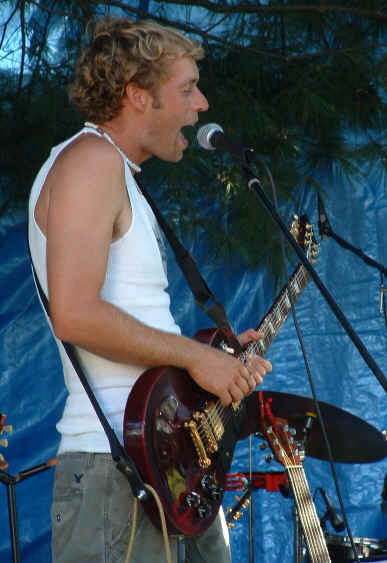 OBBIV was a record breaking moment….It was Michal’s debut singing venue. That was pretty fun to see him joining in the vocals and it looked like he had a great time! The weather this year could not have been more perfect!! It was much better than the 90+humidity that we had last year. Finally, my 80+ year old neighbor that I traditionally take cookies to after the OBB for tolerating the OBB once a year, said she enjoyed watching the action from the comfort of her home. She is pretty cute with her comments. One year she asked “what the kids were doing around the tables?…it looked like they were playing a game.” I then had to explain flip cup to her…that was kind of surreal to be explaining a drinking game to your 80+neighbor! She said that she could remember when her parents were not too thrilled with the jitterbug and “new music.” This year she commented that it looked like the kids were growing up…more babies present…slightly less wildness. It is always a lot of hard work both before and after the OBB. It was a couple of days off work that involved yard work, food shopping, and house cleaning. The poor lady that kept trying to shop around me and my flat dolly at Price Club definitely didn't like the OBB preparations. The day after is always a pretty long day cleaning up after all the "Fun." Fortunately, the boys and Becky help with the clean up. I missed getting a picture of the "morning after shot" and the husband in the kitchen...that was a lot of cups, bowls, etc to wash! But the OBBIV= 102+guests, 8 kids, 4 dogs, 96 hotdogs, 40 hamburgers, 2 loins of barbecue, 2 lbs macaroni, 2 lbs potato salad, 6 dozen cookies, 2 batches of brownies, rice krispie treats, 3 kegs of beer, 1 bottle of tequila, 0 police.....All in all: PRICELESS! 2) Tom's boss seemed to have a GREAT time! 4) Kids dancing and playing with serious drinking games going on. 5) Justin on the microphone. PARTY ON! Thanks again Tom and Tina for a great day!!! Happy Anniversary honey! I love you. slight correction: 4 kegs of beer. A very good review of the OBBIV(I missed the memo on the roman numerals). I'm glad the OBB continues to be an event that our friends all look forward to attending. To all those that didn't make it this year, we hope you can be in attendance next year. Special thanks as always to the parents for taking on the expense and hard work required to put on a party of this size on a yearly basis. 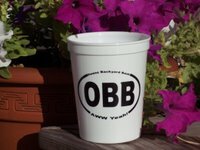 Everyone appreciates it, and there are new OBB fans every year. See you all at the Cinco de OBB. hmmmmm.......OBB V Aug 4 Aug4 Camp Michigania date....guess you'll never make it to camp Michigania.....that is the week we are going next year if we get in......oh well, sounds like fun was had by all......here's to a rousing good time next year too. I still vote for the 11:59 AM start time for next year. Sure...most people showed up later, but the small group of us there at the beginning had a blast making up songs and playing horseshoes. Plus - it's better to setup the stage earlier in the morning before the heat kicks in. So noted...it is looking like a 11:59 start for OBBV or Cinco de OBB as Tommy said! I'm still mad i forgot to sing my song and have Gary on the drums... that's definitely happening next year.